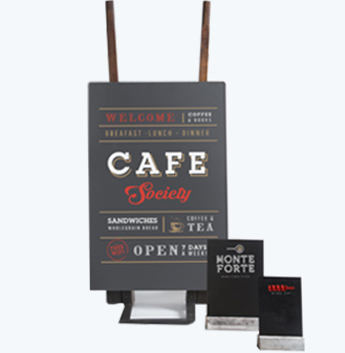 Signage is crucial for all retailers, and helps communicate a variety of messages across to customers. Our recently purchased flatbed digital LED UV printer now allows us to overprint your message in full colour onto a variety of products from our signage and communication collection. View our extensive range of plain signage & communication products that can be overprinted by clicking on 'View Products' and choose a printing option and quantities from our 'Price List'. Request an official quote by completing our online quote form with your desired products and quantities. A member of our sales team will respond within 2 hours during our opening times.